Dive into adventure with your favorite underwater explorers, the Octonauts! Join brave Captain Barnacles, daredevil ex-pirate, Kwazii, medic Peso Penguin and the rest of the crew, as they explore the world s oceans, rescue the creatures who live there and protect their habitats above and below the waves! Based on the richly imaginative books by Meomi, this series combines immersive visuals and submersive humor to transport young children into a world that is both real and fantastic, full of mysteries to unravel and surprises around every corner. So come aboard the Octopod for 52 exciting missions! KIDS FIRST! Film Critic Jolleen M. comments, “There are multiple different messages throughout this DVD. All are really important and sometimes are overlooked. 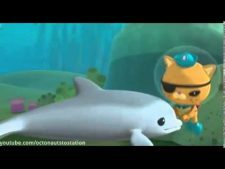 I love that The Octonauts offer entertainment to young children while teaching them good lessons.” See her full review below. The Octonauts have always been one of my favorite TV/DVD series. The Octonauts are selfless and brave, human-like animals and have great teamwork. Aside from the multiple wonderful messages that they teach in every episode, they also have detailed animation. The Octonauts live in the ocean in their octopus-like structure called the Octopod. Whenever there is trouble in the ocean, the team of Octonauts does not hesitate to help anyone in need. The main characters include Captain Barnacles (the bear who leads the team), Kwazi (the pirate-like cat) and Peso (the timid penguin). At the end of the episode, there is always a Creature Report, a song giving facts about one of the creatures that they saw or helped during the mission. Captain Barnacles (Ross Breen) sounds like a bear who has everything under control. He has a very deep, commanding and strong voice which implies that he is the boss, and he is. Peso (Paul Panting) has a very soft, sometimes shaky and uncertain voice. Peso is a happy, but conservative penguin, and you can hear that through his voice. You can also easily hear when he is scared. The animation is detailed and shows the ocean as a beautiful place with the wide variety of colors. Another thing that I like about this series is that on the Octonauts team, there are different species of animals aboard the Octopod. They work together great as a team, even though they are all different. It shows that even though you don’t have many similarities, you can still work together successfully and be friends. This is just one of the great messages taught in this series. 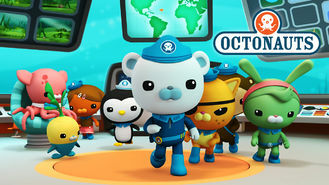 My favorite episode is “Undersea Storm.” During this episode, a storm is heading near the reef where the Octonauts live. A strong current sweeps up a baby lobster, but Kwazi saves it and returns him to its family and they are very grateful. Later, Kwazi crashes and can’t get his submarine to work. The whole family of lobsters shows up to help him out. Everyone makes it safe inside before the storm hits. This is my favorite episode because it teaches the morals of The Golden Rule. It is very clever how they present this moral. There are multiple different messages throughout this DVD. All are really important and sometimes are overlooked. I love that The Octonauts offer entertainment to young children while teaching them good lessons. This is an awesome DVD to watch and I give it 5 out of 5 stars. I recommend it for ages 3 to 11. Maybe it could even be for 12 and 13-year-olds, because I really enjoyed watching it myself. It is available now on DVD so, be sure to check it out. Octonauts is one of my favorite TV shows. I’ve been watching it my whole life, since I was a baby! This Season 1 DVD is filled with 52 episodes, which is over eleven hours of the best Octonauts adventures. In Octonauts: Season 1, everything that happens takes place underneath the ocean! That is my favorite thing about this show. It takes me on an underwater adventure every time. I get to live my dream of being aquatic! Captain Barnacles leads his team. Tweak Bunny, Pero Penguin, Kwazii Kitten, Shellington Sea Otter and Dashi Dog all appear in Season 1. Every character is a different type of animal. They are have unique personalities and special traits that make them interesting. All of these traits make the Octonauts team a good group of characters that can handle any kind of problem that comes their way. This is a fun series! The stories always move forward without a dull moment! Each episode keeps my attention and I am totally entertained. Nothing scary ever happens and that makes me feel relaxed and interested while I’m watching. I can watch one episode after another. All of the episodes on this DVD have positive messages fo r kids about helping others or teamwork. I think kids can also learn a lot about the ocean and all of the sea creatures who live there. This is an educational show, but it doesn’t feel like it. Those kinds of shows are the best! I have two favorite things about these shows. The Octopod is really cool. It is the big underwater spaceship that they travel around in and it is also the headquarters for the crew. It looks like a big mechanical octopus. My other favorite thing about the show are the Vegimals. They are so silly and interesting. Think of putting together a vegetable and an animal and you get a Vegimal! For example, if you take a half-salmon and a half-jalepeño, you have just made a Salapeño. The Vegimals are very cute and funny. I give this DVD 5 out of 5 stars and recommend it for ages 2 to 10. It’s calm and colorful and it looks like little bath toys that a baby would like to play with. I think even the smallest child would be mesmerized watching these shows. This is available on DVD now, so go check it out! 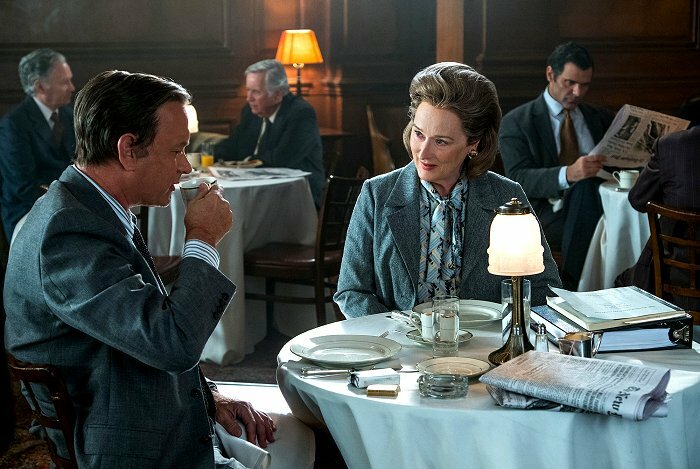 The Post – Surpasses Any Expectations And Delivers On A Much Higher Level. The cinematography defines my favorite scene, the climax of the film. 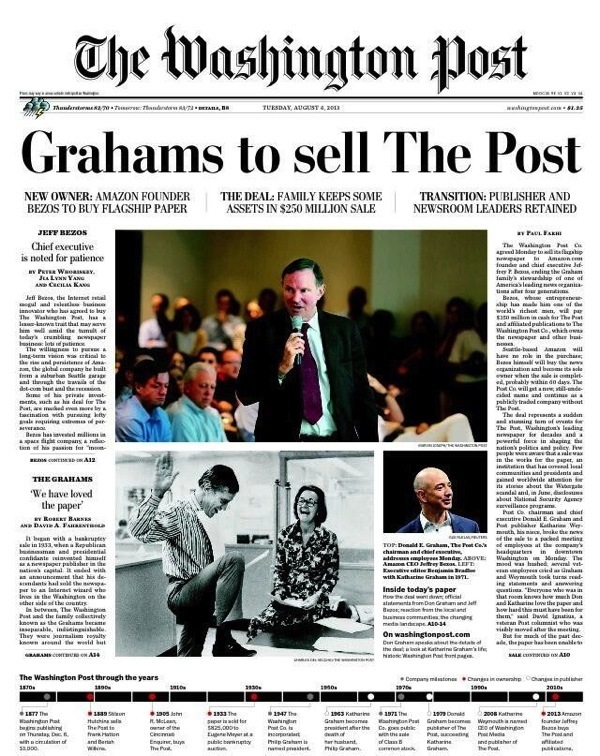 Kay Graham, publisher of the Washington Post, has to make the final decision whether the paper should publish the leaked documents or not. She is on the phone with multiple business partners, her editor (Ben Bradlee), and many journalists of the paper as well as some of her board advisors. 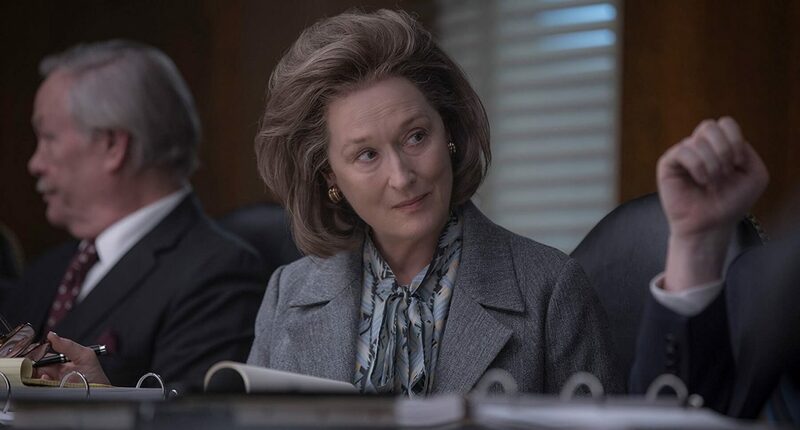 Easily, this makes for the most intense scene in the entire film and truly brings Meryl Streep’s character to life. Throughout the phone conversation, the camera angles make it feel like one long shot across multiple locations. Finally, at the moment she makes her decision, the camera slowly zooms into her eyes and mouth to show wonder, fear, curiosity and more – all at once. Fina lly, as Kay makes her decision, the camera zooms out and the feeling of intensity immediately leaves the room. Despite being just a few minutes long, it feels like an eternity and you, as a viewer, can’t help but clench your fist in anticipation of what her decision will be. The story has many mature elements and the concept itself is complicated at times. The messages related to journalistic oppression are very important for all ages. I recommend this to ages 10 to 18, as well as adults. 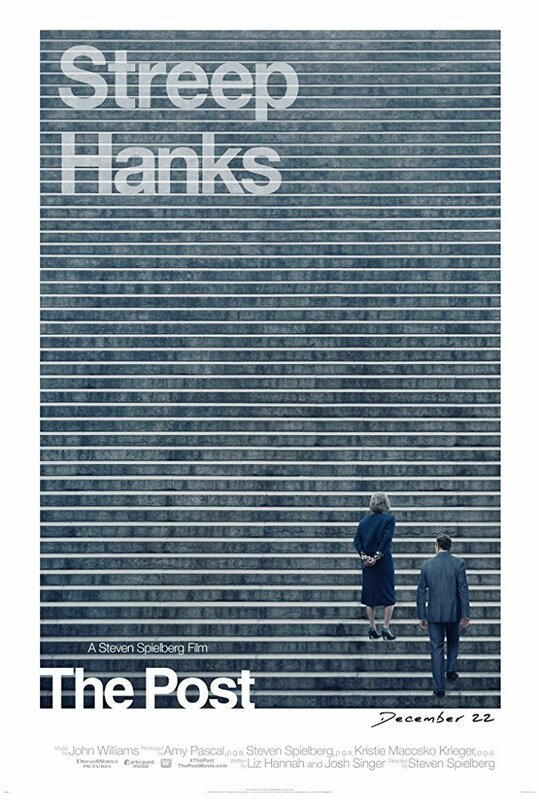 I give it 5 out of 5 stars for perfect directing, astonishing acting, and cinematography so beautiful it belongs in an art gallery along with many other films directed by Steven Spielberg. The Post is v ery timely and reflective of our own time. 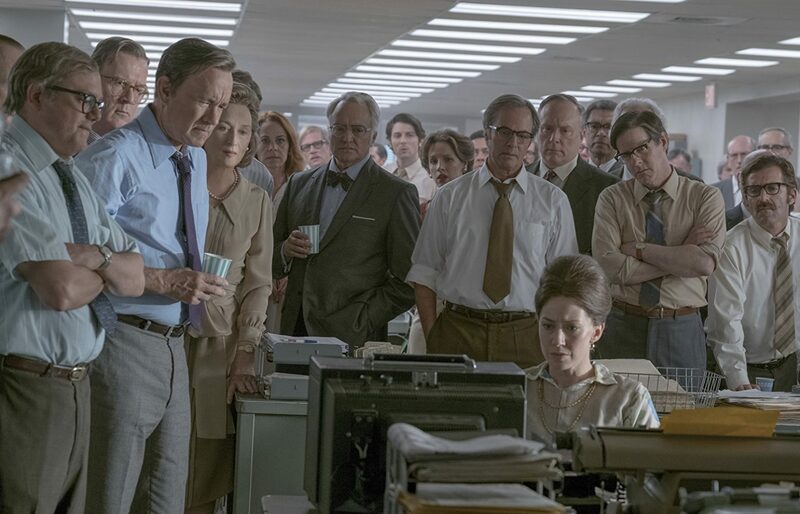 In this day of “fake news” and media bashing, this film is a refreshing story of the integrity of newspaper organizations. 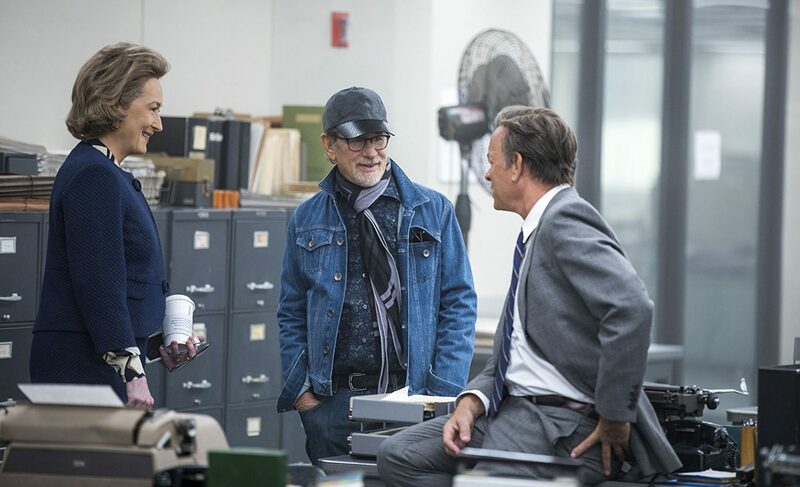 Spielberg tries to show the importance of a free press in combating government malfeasance. The Post is appropriate for ages 15 to 18. 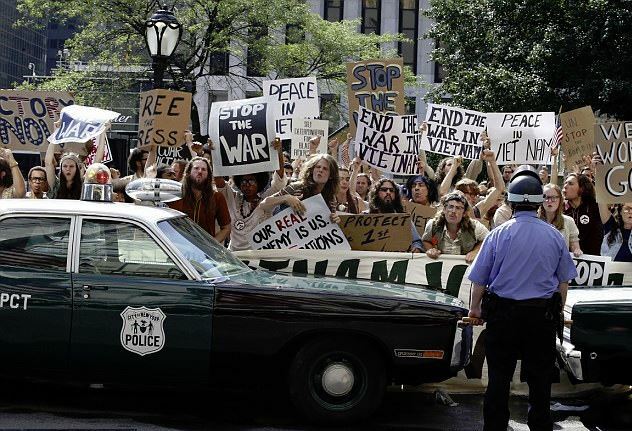 Younger teens may find the film boring if they are not interested in politics or media. I give this film 4.5 out of 5 stars for its exceptional use of real life suspense. It is available in theaters January 12, 2018 so check it out. 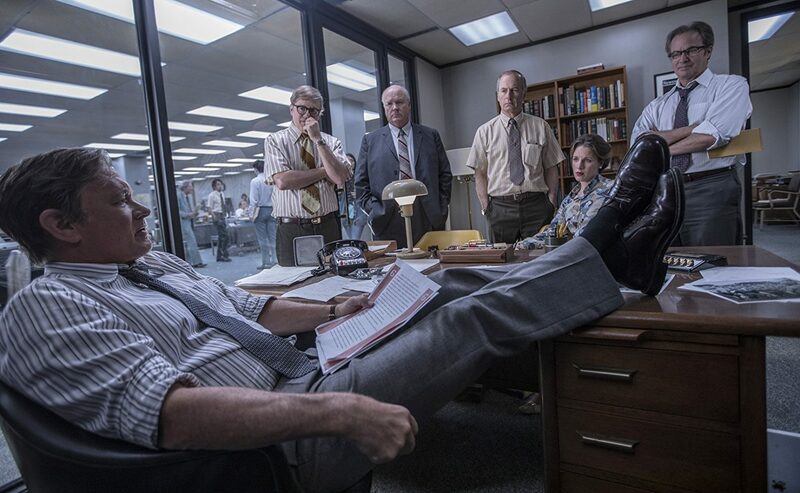 Posted in Feature Film Reviews | Comments Off on The Post – Surpasses Any Expectations And Delivers On A Much Higher Level. Welcome to Doozer Creek where the Doozers live! They’re green. They’re cute. They’re three inches tall and they’re full of energy, ideas, and enthusiasm! It’s family time at Doozer Creek! The Pod Squad want to build a Doozer-sized Gingerbread House! However, in order to achieve such a large size Gingerbread House it’s going to take some clever construction to create. Can the Pod Squad do it? Then, Daisy Wheel wants to ice skate with the others, but she doesn’t know how. Together, the Pod Squad build her a custom Doo-Step Skating Dress that lets her glide across the ice in no time. Weee! Enjoy these adventures and six more focusing on science, technology, engineering and math! KIDS FIRST! Film Critic Morgan B. comments, “One thing I love about The Doozers is that they teach young children about STEAM which stands for science, technology, engineering, art and math. 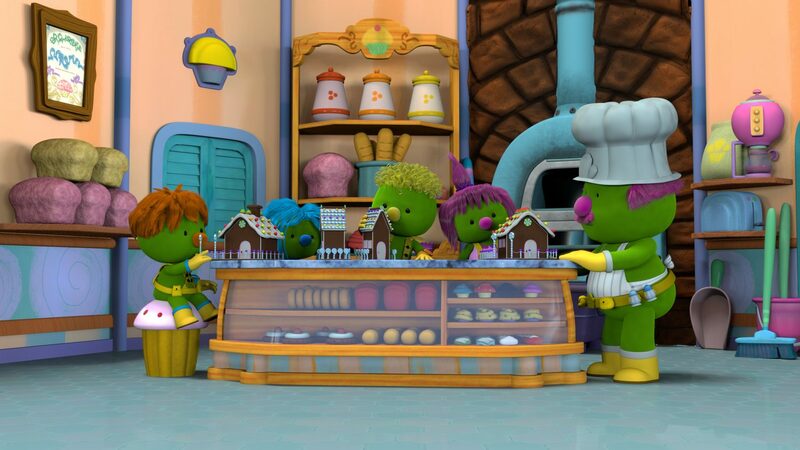 It is so important that kids learn these basic skills when they are young and The Pod Squad demonstrates this perfectly.” Izzy C. adds, “Doozers: Giant Gingerbread House takes us on a fun adventure with four little children and their mission to be helpful. This movie is also about spending time with your friends.” See their full reviews below. Happy Holidays! 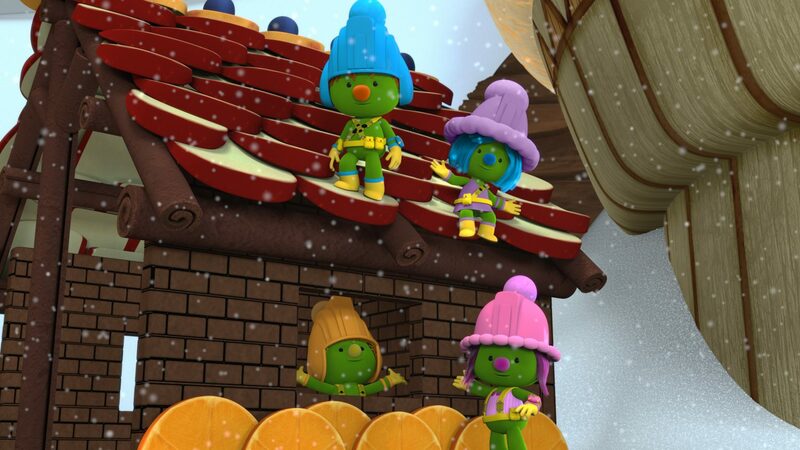 Jim Henson’s three-inch green characters, The Doozers, from the wonderful Fraggle Rock Adventures are available on the new DVD, Doozers: Giant Gingerbread House. This is perfect for the holiday season because it is all about sweet treats, ice skating, presents and holiday joy that we know and love. If you aren’t in the holiday spirit yet, then this DVD will put you in it. One thing I love about The Doozers is that they teach young children about STEAM which stands for science, technology, engineering, art and math. It is so important that kids learn these basic skills when they are young and The Pod Squad demonstrates this perfectly. The Jim Henson team always seems to know what kids will enjoy and they are on target with this new DVD. You might not have the tools that The Doozers have, but it encourages you to want to build something. It makes me feel like there is never a problem that, with a little thought and creativity, cannot be solved. The voice-overs are great because they are so cute. They match the little green Doozers perfectly. They all have different personalities and qualities. Each character has a terrific personality and that makes me feel as if I have been friends with them forever. My favorite episode is Daisy Wheel on Ice. It is hilarious when Daisy Wheel tries to ice skate but can’t. She keeps falling until her friends invent something to help her skate while standing up. This invention could be very helpful for people who can’t skate, including me. I think someone should invest in this invention. Daisy Wheel might be the youngest of the Pod Squad, but she is ready for anything and always has a bright idea when needed. That is why she is my favorite character. Daisy Wheel is also very quirky and had me laughing through many episodes. Daisy Wheel is goodhearted because she loves helping others by building them things. This is another one of her qualities that I adore. I recommend this DVD to ages 3 to 8 and give it 5 out of 5 stars. Kids will adore the fun things that The Doozers do and will be inspired by the fun projects to want to build things themselves. The animation is colorful and the story lines are easy to follow which makes it perfect for a young audience. It is available on DVD now so be sure to check it out. This is a fun movie to watch during the Holiday Season. It takes place in a magical little community that is close to where humans live, but it is hidden from them. 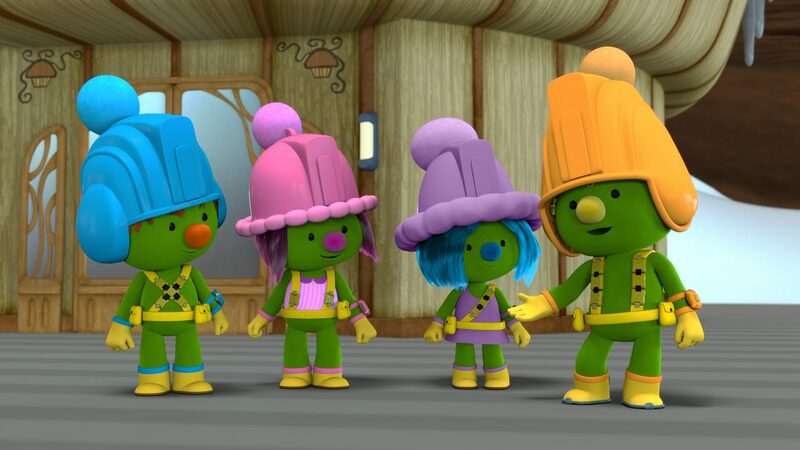 The movie stars members of the Doozer Pod Squad, known for using math, engineering and design to find solutions to problems, which they do again in this story. The story is simple and sweet. It is a very enjoyable and easy to follow along with. The animation is gentle looking, round and happy. The bright colors and good voice actors make it fun to play on the TV. Like it says in the title, this movie is about a Giant Gingerbread House that the Doozers make. They are trying to sell Molly’s father’s gingerbread houses, but they need the right materials and some help. They have a positive mission, but will they be able to do it in time for Christmas? 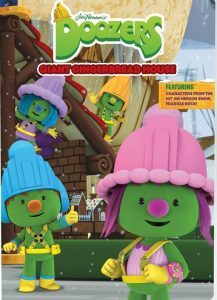 Doozers: Giant Gingerbread House takes us on a fun adventure with four little children and their mission to be helpful. This movie is also about spending time with your friends. If you are the type of person who does not like to work with others, then this is the movie you need to watch to encourage you to work better with others. There are two characters that I identify with – Mollybolt and Daisy Wheel. Molly is independent and kind. Those characteristics speak to me. I can also relate to Daisy Wheel when she learns how to ice skate. I remember learning how to ice skate and I felt just like her when I started. I relied on the encouragement from my Mom and my friends on the ice rink to help me keep going. I give this DVD 4 out of 5 stars and recommend it for kids from 2 to 6 years old. I watched it with my 6-year-old brother and he was very entertained. I don’t think older kids or adults will find this movie interesting enough, but it is perfect for little kids. This DVD is available now so, be sure to look for it. 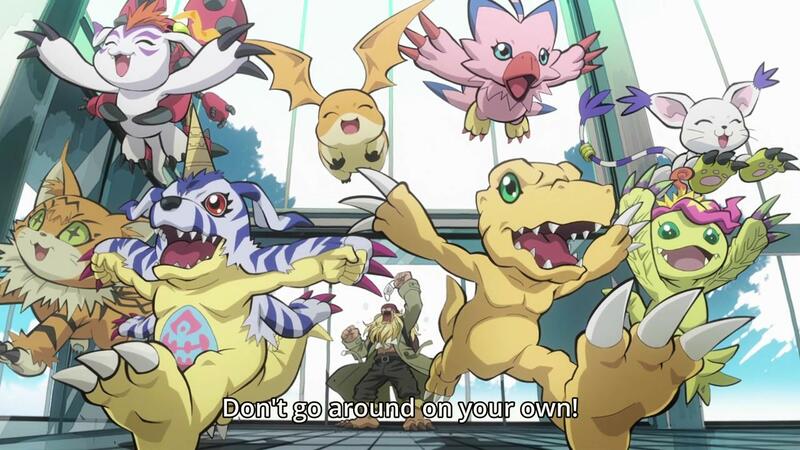 All of these brave and courageous Digimon are so cute! This story is so powerful and made me bawl my eyes out. The animation for each Digimon is unique and the animation for the human characters shows their emotions quite well. I really love seeing the sweet bond between the Digimons and their owners. I haven’t watched Digimon part 1 or part 2 before, so it was a bit confusing for me in the beginning. But after the story got underway, I got the gist about what was happening. The storyline starts off with the characters trying to find a cure to an infection. The infection caused one of their Digimon, Meicoomon, to start causing trouble in the human world. They don’t know where Meicoomon has been or where she will go, so they have to keep all of the Digimon in Koushiro’s office to prevent them from getting infected. But one owner brings his Digimon home by accident. Later that day, the Digimon gets the virus but they don’t tell anyone. During the fight to keep Meicoomon in the digital dimension, the virus spreads to one of their Digimon friends who went to hold Meicoomon. 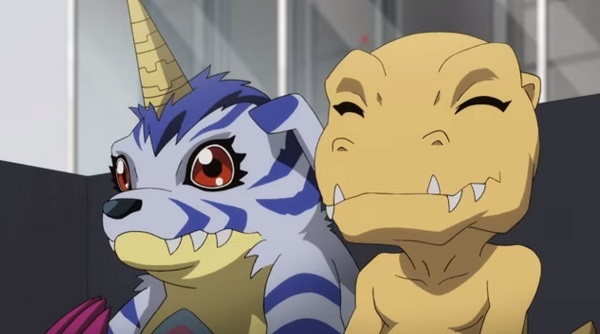 The Digimon realize that they have no choice but to fight till the end to protect their owners and their human world. The Digimons say a sad goodbye to their owners and, even though their owners don’t want them to fight, they go anyway, ready to die. The voice acting in this film is really convincing. Convincing in the way that I could tell when a character is desperate, sad or angry, and also convincing. Miwa Matsumoto (Patamon) sounds like a very delicate and caring creature. Patamon’s close bond with his partner T.K. is very sentimental. When Patamon has to say goodbye to T.K., I cried so much because I could tell that T.K. could not live without Patamon. But Patamon sounds determined and very emotional, as if he was crying. The animation of this film is an ime style. The animation for the Digimon is very unique. Each of the Digimon are completely different from the others and they each have different personalities and physical characteristics. The human characters are animated so that their faces shows their emotions. My favorite part is when Patamon and T.K. have to say goodbye to each other. Even though this part made me sad, I feel like it is the best part of the film. I really feel the emotions from T.K. in this scene. The message of the film is about overcoming obstacles. Meiko is very depressed because her Digimon, Meicoomon took a dark turn. Even though this obstacle is in her way, she gets out of bed every morning and tries to do something to bring Meicoomon back to normal. She realizes that just crying won’t do anything for her Digimon. This film is very sentimental. I really enjoyed crying about this film. Sometimes you just got to cry and have your heart be moved and not worry about how everything will turn out. Be sure to check this film out to see what happens. I recommend this for ages 8 to 14 and give it 5 out of 5 stars. It is out on DVD’s now so go check it out! Digimon Adventure Tri: Confession impressed me because of its wonderful style and action. The voice-acting is spectacular and the impressive animation allows for amazing visuals. This is sure to be a hit with Digimon and anime fans. 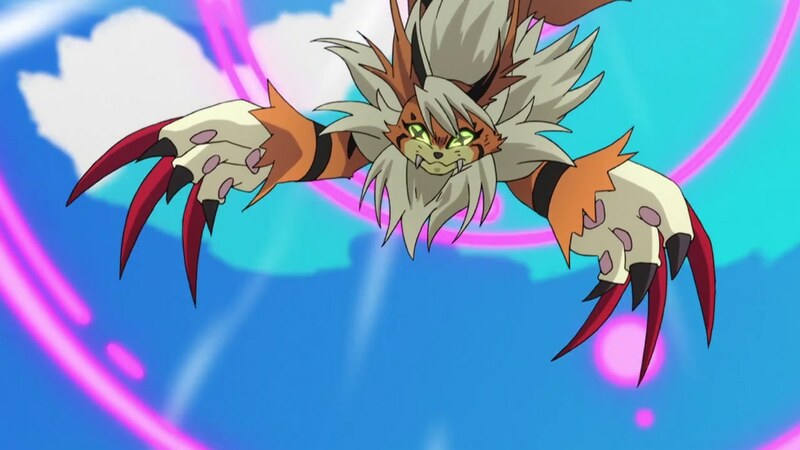 The story follows the events after an infected Meicoomon (Kate Higgons) turns to the dark side and kills Leomon. Due to this, Meicoomon’s owner, Meiko (Miho Arakawa), is dealing with extreme guilt and all the other Digimon are left in the office of Izzy (Mona Marshall) to prevent further infection. However, when Takeru (Junya Enoki) finds out his Digimon, Patamon (Laura Summer), is facing infection, he tries to stop it before it is too late. Meanwhile, Meicoomon returns to cause more havoc on Earth. Miho Arakawa, as Meiko, excellently presents her guilt and blame after Meicoomon turns to the dark side. Her sadness is well presented as she tries to abandon her team. Junya Enoki, as Takeru, is a highlight delivering a well-ranged performance full of charisma and urgency, as he tries to put his team back together to save Patamon. Also, the emotional drama between Takeru and Patomon is well done, and due to this he is my favorite character. Tom Fahn, as Agumon, is a well-presented team leader of the Digimon who will do anything to save his friends. 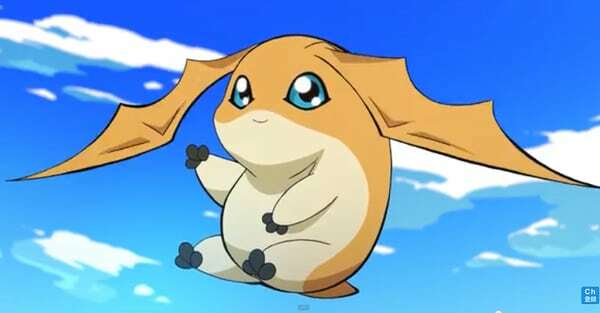 Laura Summer, as Patamon, delivers and equally emotional performance to Takeru as she is facing a possible impending infection, which will turn her against her Digimon friends. Kate Higgons, as Meicoomon, is a well-developed antagonist who is a formidable foe for the Digimon to fight. The direction by Keitaro Motonaro is wonderful due to a pace that feels as if it’s an interesting magna story. My favorite scene is the scene when Takeru tells Patamon that he is infected, because it is extremely emotional due to the incredible acting of the two characters. My only problem with this movie is the large amounts of expository flashbacks that further progress the story. It feels like a lazy way to tell a story. The message of the movie is about finding a way to forgive yourself. Meiko’s intense guilt and blame for herself is a big plot point, but she learns that moving on and helping the team will be for the better. I give this film 4 out of 5 stars and recommend it for ages 8 to 18 because of its action and emotional themes. The movie is available now on DVD and Blu-Ray, so check it out. Digimon Adventure Tri. 3: Confession is a beautifully made an ime film that touched my heart and will touch the hearts of others. The storyline picks up right after the events that took place in past movies. Tai and his friends are still trying to figure out what caused the infection that made Leomon go rogue. All the Digimon are quarantined in hopes to keep them safe from the infection and buy the friends some time to figure out ways to stop it from spreading. Sadly, one of the Digimon is showing some indications that they might have the infection. This DVD is the third fil m in the franchise Digimon Adventure Tri. I had absolutely no background knowledge of the first film Digimon Adventure Tri, nor did I know anything about the second film Digimon Adventure Tri.2: Decision. 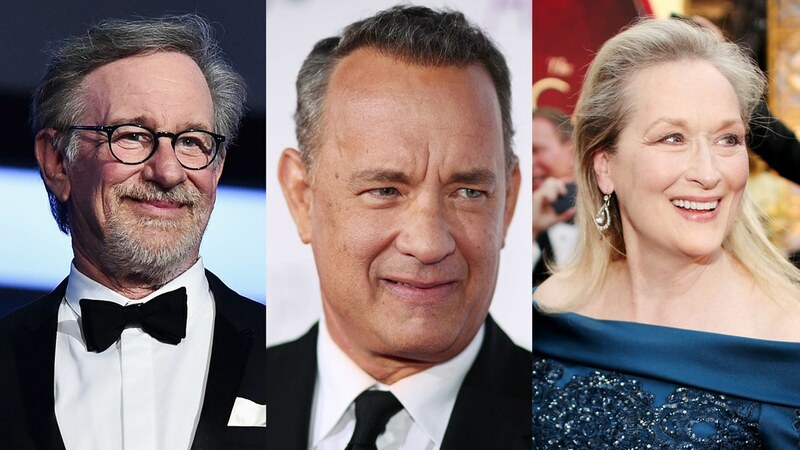 Consequently, it was a bit difficult for me to understand what was happening in the beginning of the film, since the characters referred to things that happened in the previous two films. For example, the character Leomon is discussed a lot in the beginning of the movie. I had no idea who or what that character was for the first twenty minutes. Eventually I picked up that Leoman is a Digimon. Then, I had to rewatch the scenes where they talked about that character. The one very helpful thing in this film are the flashback scenes. They really helped me understand the plot. I recommend that people watch the first and second films before watching this one as it will help them understand the plot of the film. This is not my first anime film, but it is my first anime dealing with magical characters like Digimons. I was not a fan of Pokemon growing up so I never watched too many anime films. Occasionally I have watched a realistic fiction anime but never fantasy ones. After watching this film I’m definitely going to put more time in watching anime films. This film gives justice to the world of anime. The storyline is compelling and the whole concept of digital monsters is absolutely fascinating. I love the relationships between the people and their Digimons. My favorite duo has to be Patamon (Anna Garduno) and TK (Johnny Yong Bosch). I could feel the love they have for each other. I grew very fond of these characters over time. I emphasized with them when times were bad. These two characters make this film even better. The animation is absolutely stunning. There is so much detail that goes into making anime films. This film meets that high standard. The Digimon are drawn beautifully. Their exterior designs match their personalities so well. I could tell a lot of time went into drawing these monsters. The humans also have a very special look to them. My favorite feature is the characters’ eyes. You can feel the characters’ emotions by looking into their eyes. It can be difficult to truly connect with animated characters at times, due to their not looking realistic. These characters are drawn very realistically and I personally connected to them. I recommend this film for ages 7 to 16. Younger audiences will love the fun characters and the older audiences will find the story line interesting. I give this film 5 out of 5 stars. I felt a connection to the characters and an urge to know the ending. I think the animation is stunning. This film is available now on DVD now so go check it out! Super 4: Welcome to Kingsland – So Many Adventures! Something for Everyone. Embark on a series of adventures with the Super 4 as they travel throughout the wider Playmobil® universes. Whether it be a sci-fi futuristic world, a magical fairy world, a world of pirates, or a world of medieval knights, the adventures are never ending! Welcome to Enchanted Island, an island covered with a mysterious enchanted forest, which is home to every form of magical creature you could ever imagine fairies, mischievous boy sprites, unicorns, sirens, ancient tree spirits, and magic wishing wells. Visitors to Enchanted Isle must beware for nothing is ever quite what it seems, and dreams and reality quickly become one. At the center of the forest is the palace of the capricious Fairy Queen, who is in a constant temper due to being turned into a frog by a talented young fairy who overdid herself and, in an attempt to grant the ultimate favor to the queen by making her even more pretty , she cast a spell that in fact gave her the head of a frog! Unfortunately, that talented young fairy is our friend, Twinkle. Twinkle has great potential as a fairy but she must learn to master her wand and its magic. Join Twinkle along with her Super 4 friends as they band together to fight villains and save their worlds from chaos. KIDS FIRST! Film Critic Jolleen M. comments, “Even though you may expect this DVD to be a cliché about a Prince saving a Princess, it is nothing like that. These episodes have so many adventures and each episode has something for everyone to enjoy.” Damon F. adds, “The message of this show is that if you work together, you can do anything.” See their full reviews below. These amazing animated episodes are great for everyone. Even th ough you may expect this DVD to be a cliché about a Prince saving a Princess, it is nothing like that. These episodes have so many adventures and each episode has something for everyone to enjoy. Prince Alexander and his friends Ruby (a pirate), Twinkle (a fairy) and Jean (a secret intelligence agent) go on numerous adventures and come close to dangers from dragons, trolls and evil majesties who try to take over the kingdom. Prince Alex and his friends use their different thinking styles to come up with solutions to the different problems. Each character has a completely unique personality and different style. Twinkle (Sarah Natochenny) can make herself sound so innocent and very caring. Sarah Natochenny seems very enthusiastic and happy, which completely matches Twinkle’s personality. Baron, an evil majesty, voiced by Sébastien Desjours, sounds a lot like a person who is very nosy and would like to fiddle with your life. Sébastien Desjours’ voice reminds me of an evil wizard or some sort of evil rich person. Desjours can sound very menacing and mischievous. The costumes for each character show off its personality. For example, Jean is in a suit and has his handy, dandy smart watch device. The animation is unique and gives a lot of information about him visually. The backgrounds are detailed and the faces of the characters reveal their emotions. I like how they animate the dragons. They look pretty realistic and their movements are very smooth. The dragon’s breath of fire looks epic and moves the same way as an explosion moves. My favorite episode is when Alex and his friends actually think that Baron is trying to befriend them without trying to gain something from them. This is my favorite episode because, at first, I thought that Baron was just trying to steal the sword from them and I expected him to eventually be successful at taking the sword. But when a dragon scoops up the sword from Alex’s hands, Baron jumps on the dragon and throws the sword down to Alex. I actually thought that Baron wanted to help them. Later, they realize Baron gave them a fake duplicate of the precious sword. The message of this film is to live life with adventure and do the right thing. Alex, Twinkle, Jean and Ruby always have fun and make sure to help those around them. They never try to steal what isn’t theirs or try to make other people’s lives miserable. These episodes really show the importance of teamwork and it could inspire kids to help in their community. These episodes are very entertaining and fun to watch. I recommend this DVD for ages 4 to 13 and give it film 5 out of 5 stars. The DVD is available now so be sure to check it out. Super 4 Welcome to Kingsland is a DVD of episodes about the Playmobil characters known as the Super 4. 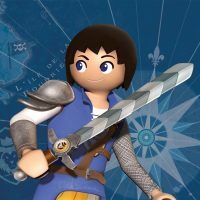 The series is based on the worlds of Playmobil. The worlds shown on this DVD are: Kingsland, which holds knights, barons, kings, princes, princesses and dragons; Fairy World, where fairies and little strange monsters live; and the Lost World, which includes dinosaurs. I must admit, I was disappointed that this DVD is very repetitive. The characters that aren’t Super 4 members do pretty much the same thing in every episode. For example, the knights just worship the king and don’t fight. And, the plot where the baron tries to marry the princess is used in two different episodes. T he members of the Super 4 are: Alex, (Damien Ferrette), the prince of Kingsland and the leader who started the Super 4; Twinkle, (Annouck Hautbois), a fairy from Fairy World, who doesn’t always get her spells right the first time; Ruby, (Laetitia Lefebvre), a pirate from the Pirate Lost Island, who sometimes gets in trouble for stealing treasure but always gives it back unless it is owned by the enemy; Gene, (Franck Lorrain), the team’s genius from the Agents’ world, who never gets things wrong. The Super 4 are a group of friends who embark on many adventures and missions to fight villains. This collection is about a few of their adventures saving Kingsland, Alex’s home world from chaos. My favorite episode is called “Rage of Dragon” which is about the enchanted witch from fairy world who puts a spell on Ruby that turns her into a dragon. Super 4’s remaining members must figure out what happened to her and help her break the spell. That episode really stands out. My favorite character is Alien, Twinkles strange little monster pet who is really scared of dragons. He is funny because he is always clumsy. The message of this show is that if you work together, you can do anything. 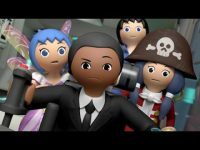 Even though I didn’t like the plot repetition, younger kids who like repetition and play with Playmobil might love this. For that reason, I rate this DVD 2 out of 5 stars and it for ages 2 through 6. This DVD/Blu-ray is available now so go check it out. Posted in DVDs Released | Comments Off on Super 4: Welcome to Kingsland – So Many Adventures! Something for Everyone.